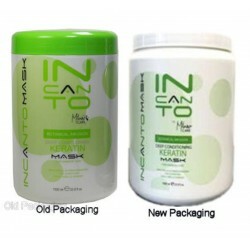 Milano Keratin - Just Beauty Products, Inc.
Milano Keratin There are 27 products. 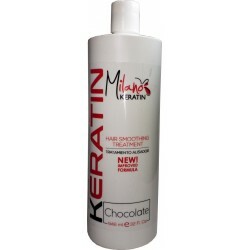 Milano Keratin Chocolate Hair Smoothing Treatment 16oz. This patented formula is proven to enhance the condition of any hair type and enhance hair’s natural shine, smoothness and beauty, reducing frizz for 3-5 months. 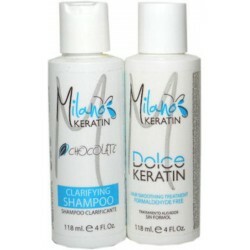 Milano Clarifying Chocolate Shampoo 16oz. Is recommended before applying Milano Keratin Chocolate and formulated to remove impurities and product buildup from the hair shaft. Milano Keratin Chocolate Set 16oz. This patented formula is proven to enhance the condition of any hair type and enhance hair’s natural shine, smoothness and beauty, reducing frizz for 3-5 months. 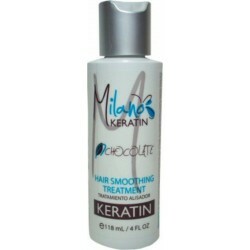 Milano Keratin Chocolate Hair Smoothing Treatment 4oz. This patented formula is proven to enhance the condition of any hair type and enhance hair’s natural shine, smoothness and beauty, reducing frizz for 3-5 months. 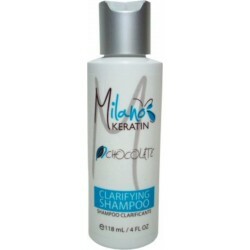 Milano Clarifying Chocolate Shampoo 4oz. Is recommended before applying Milano Keratin Chocolate and formulated to remove impurities and product buildup from the hair shaft. 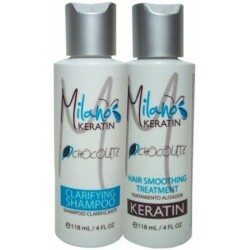 Milano Keratin Chocolate Kit 4oz. This patented formula is proven to enhance the condition of any hair type and enhance hair’s natural shine, smoothness and beauty, reducing frizz for 3-5 months. 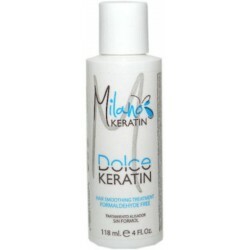 Milano Keratin Dolce Keratin Formaldehyde Free 118ml/4oz. Is a new and revolutionary hair smoothing treatment system that infuses hydrolyzed keratin and organic oils deep into the hair cuticle to eliminate frizz and curl from the hair. Milano Keratin Dolce Keratin Kit Formaldehyde Free 118ml/4oz (2 items). Is a new and revolutionary hair smoothing treatment system that infuses hydrolyzed keratin and organic oils deep into the hair cuticle to eliminate frizz and curl from the hair. 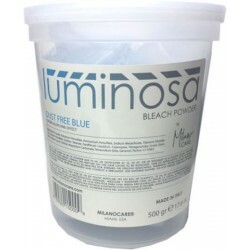 Milano Care Luminosa Bleach Powder Dust Free Blue 500gr/17.6oz. Strong Bleaching Effect. 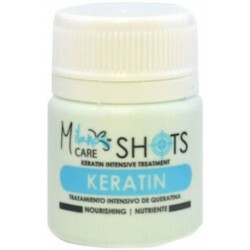 Milano Care Shots Keratin Intensive Treatment 1.69 Oz. This nourishing hydrolyzed keratin treatment, for dry and slightly damage hair. 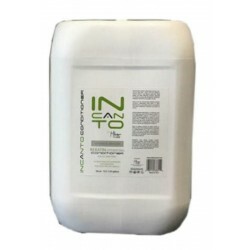 Contains wheat and rice to nourish and repair fiber, bringing it back to its optimal hydration and conditioning level. 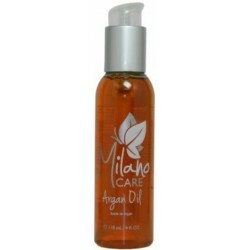 Milano Care Argan Oil 118ml/4oz. 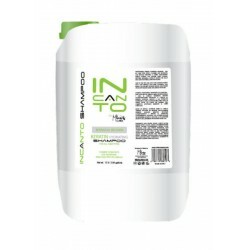 It has the unique quality of instant absorption into hair, creating an instant shine without leaving an oily residue. 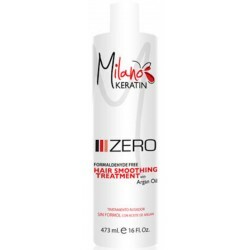 Milano Keratin Chocolate Hair Smoothing Treatment 32oz. This patented formula is proven to enhance the condition of any hair type and enhance hair’s natural shine, smoothness and beauty, reducing frizz for 3-5 months. 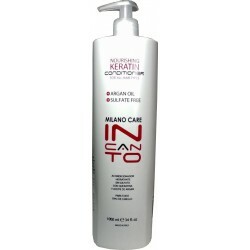 Milano Care Incanto Keratin Mask Botanical Infusion 1000ml / 33.8oz. Is a deep conditioning Mask for enriching dry and damaged hair. Perfect for preserving and extending the smooth, sleek results of the Milano Keratin Smoothing Treatment. 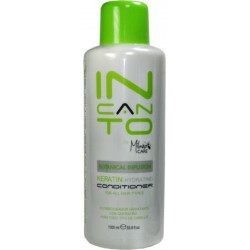 Milano Care Keratin Hydrating Incanto Conditioner Botanical Infusion 10 Lt. For daily use - For all hair types. Highly effective botanical extracts protect and prevent hair shaft from drying out while imparting essential moisture for added softness and detangling properties. 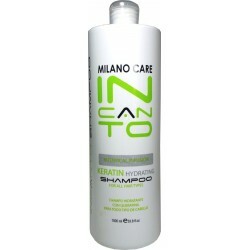 Milano Care Keratin Hydrating Incanto Conditioner Botanical Infusion 1000ml/33.8oz. For daily use - For all hair types. Highly effective botanical extracts protect and prevent hair shaft from drying out while imparting essential moisture for added softness and detangling properties. It is a professional Keratin Hydrating Shampoo, for all hair types. Deeply cleanses and nourishes hair without weighing it down. Milano Care Keratin Hydrating Incanto Shampoo Botanical Infusion 10Lt / 2.64 Gallons. Is a professional Keratin Hydrating Shampoo, for all hair types. Deeply cleanses and nourishes hair without weighing it down. 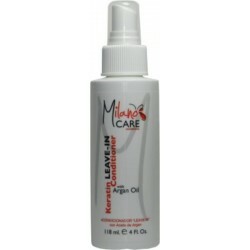 Milano Care Keratin Leave-In Conditioner Spray with Argan Oil 118ml/4oz. Is a highly nourishing, weightless and moisturizing product. It smooths away tangles, hydrates, repair and protects dry hair while making them exceptionally soft and shiny. Milano Care Keratin Repair Mask with Argan Oil 237ml / 8oz. When used to preserve Milano Keratin Smoothing Treatment, hair will be smoother and straighter much longer adding long lasting hair frizz protection. 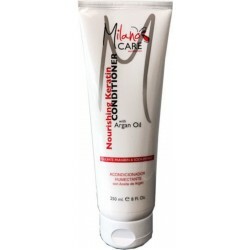 Milano Care Nourishing Keratin Conditioner with Argan Oil 250ml/8 oz. It is designed to be used as a daily conditioner to help preserve Milano Keratin Smoothing Treatment. It hydrates, replenishes moisture to weak, dull hair while moisturizing and restoring elasticity, hair strength, leaving hair shiny and smooth. 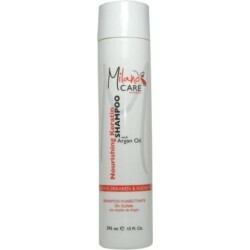 Milano Care Nourishing Keratin Shampoo with Argan Oil 295ml/10oz. Milano Care Nourishing Keratin Shampoo with Argan Oil 295ml/10oz. Is a sulfate, Sodium Chloride and Paraben free shampoo developed for dry hair or to preserve Milano Kerartin Hair Smoothing Treatment. 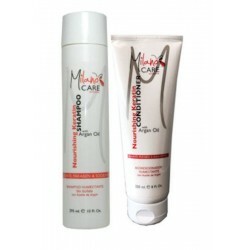 Milano Care Nourishing Keratin Shampoo and Conditioner with Argan Oil Kit (2 items). It is designed to be used as a daily Shampoo and Conditioner to help preserve Milano Keratin Smoothing Treatment. It hydrates, replenishes moisture to weak, dull hair while moisturizing and restoring elasticity, hair strength, leaving hair shiny and smooth. 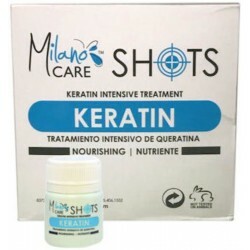 Milano Care Shots Keratin Intensive Treatment (12 shots 1.69 oz each). This nourishing hydrolyzed keratin treatment, for dry and slightly damage hair. Contains wheat and rice to nourish and repair fiber, bringing it back to its optimal hydration and conditioning level. 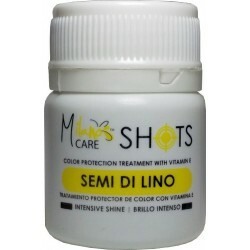 Shots SEMI DI LINO: This intensive shine treatment, for slightly dry and color treated hair, contains antioxidants and repairing agents. It is designed to be used as a daily conditioner to help preserve Milano Keratin Smoothing Treatment. It hydrates, replenishes moisture to weak, dull hair while moisturizing and restoring elasticity, hair strength, leaving hair shiny and smooth.